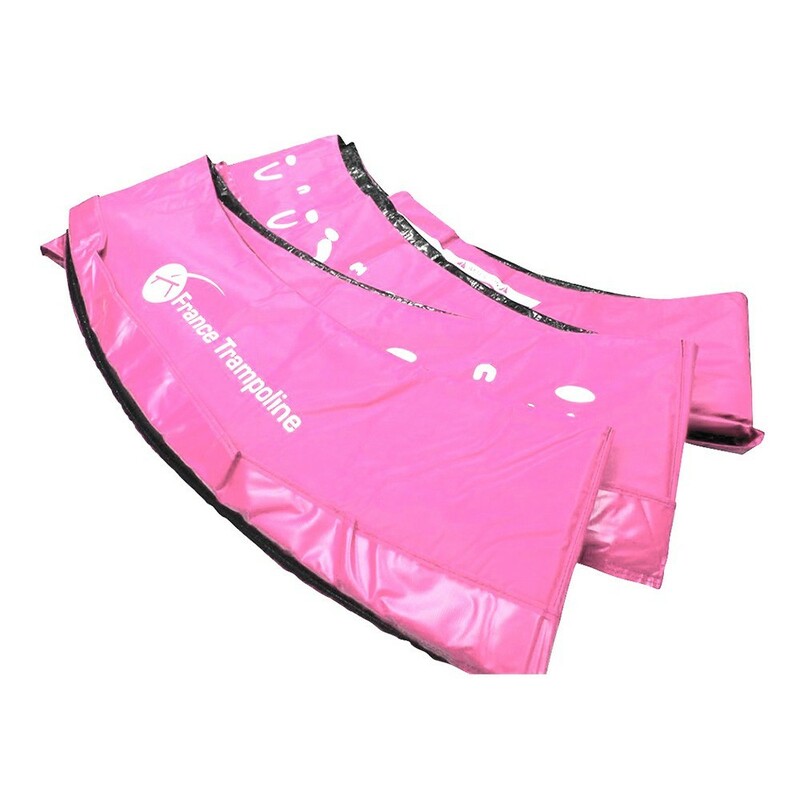 Pink frame pad for round children’s trampoline of 3 m in diameter. Replace the damaged frame pad on your 3 m trampoline. The frame pad ensures that your trampoline is perfectly safe and protects users from bad falls. When your frame pad is damaged, it no longer protects users in the same way. To ensure your children’s safety, replace it as quickly as possible. This spare part is compatible with any trampoline of 3.05 m in diameter with springs of 180 mm in length. 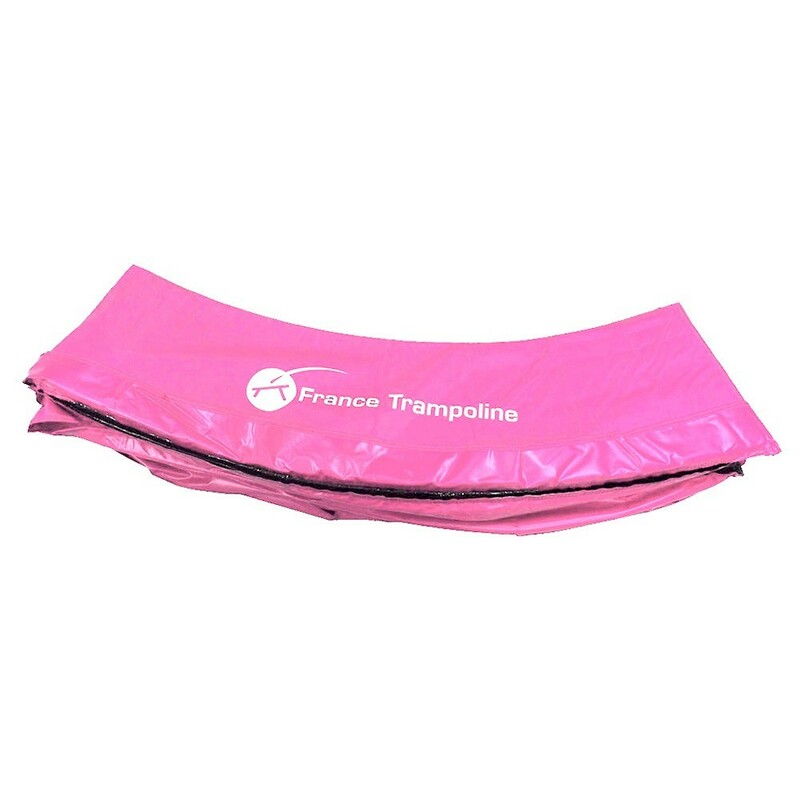 - France Trampoline’s frame pads can also be adapted to trampolines of other brands with a diameter of 3.05 m and springs of 180 mm in length or less. Make sure you measure the exterior diameter of your trampoline..
- Our frame pads are made from expanded polyethylene monobloc foam. This foam is extremely resistant and is also weather-proof. Therefore it will not be damaged by frost and mould, guaranteeing durability. Its flexibility protects it from repeated shocks. - Contrary to most frame pads on the market, made from small slivers of foam, our frame pads are made from a monobloc foam. Your frame pad will not disintegrate upon impact or age prematurely. - Each frame pad is covered in a 10 mm thick, technical, high density PVC fabric. 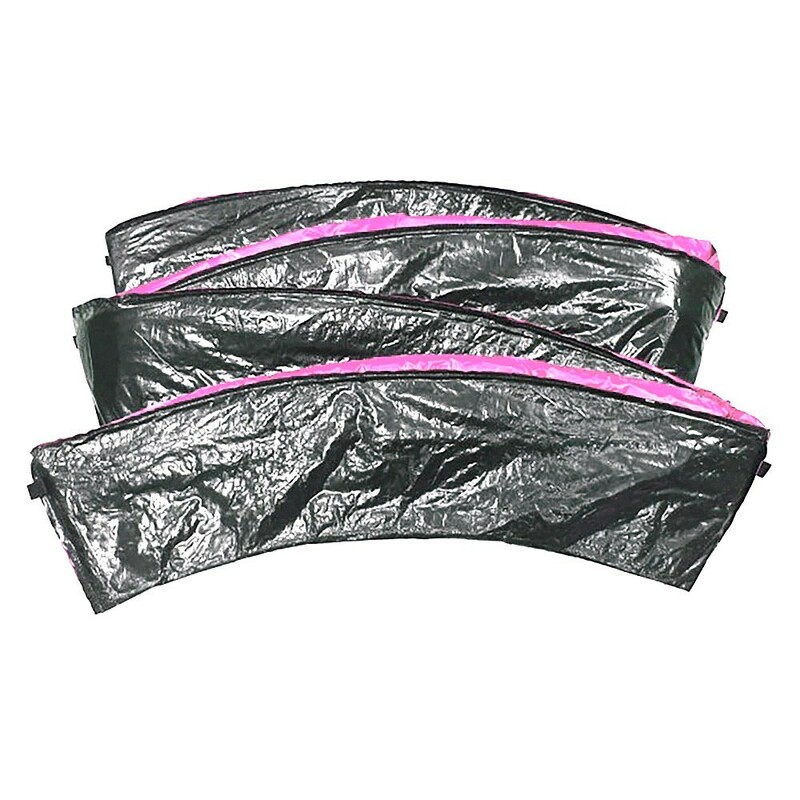 This pink PVC is UV protected, making it weather-proof. - The spare frame pad is held in place using a fixation system including 8 elastic straps. They are threaded through steel eyelets fixed to the underside of the frame pad whic are then tied to the framework. The elastic straps give some flexibility when the trampoline is in use.